I recently received a subscription to Olive Magazine from Magazines.co.uk. I’ve bought the magazine a couple of times in the past and always found the recipes to be very drool worthy! I was so pleased to get a year’s subscription to it and it will certainly cause my ‘to bake’ list to expand. I’ve already made Vegetarian Stuffed Peppers from a previous issue which was featured on magazine.co.uk’s blog. I highly recommend it if you’re looking for a healthy meal that’s also really delicious. I decided to make the Coconut Bar Cake from October’s issue as I absolutely love coconut and I really wanted to try out this recipe and see what it tasted like. I also had some of the ingredients already in the cupboard so I thought it was a perfect way to use them up. 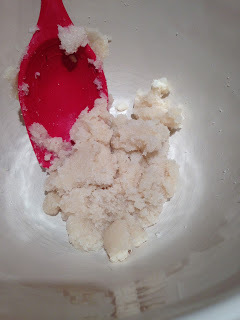 I started by mashing coconut oil with golden caster sugar. I didn’t melt the coconut oil as the recipe didn’t state to do so. In a separate bowl I whisked together eggs, coconut yoghurt and condensed milk. 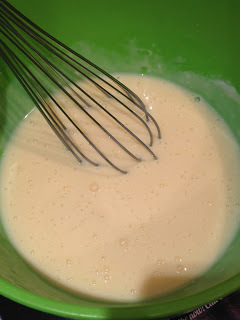 I combined the oil and sugar mixture with the egg mixture and then mixed in dessicated coconut and self raising flour. 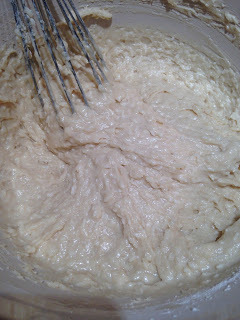 I poured the mixture into a lined loaf tin. I seemed like a lot of mixture and it did overflow a bit when baking, so when it came out I had to trim it. 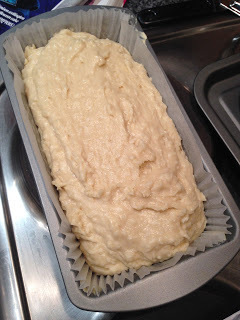 If you’re loaf tin runs on the smaller side I recommend not filling it with all of the mixture! I baked it on 180C/350F/Gas Mark 4 for 1 hour and 15 minutes. I covered it with foil for the last 15 minutes as I didn’t want the top to burn. I made the icing by mixing icing sugar with coconut cream. I used one less tbsp than the recipe suggested as I wanted a thicker icing. Finally I sprinkled toasted coconut flakes all over the top. This cake really is a coconut lover’s dream and it does taste like a bounty bar! I really enjoyed the flavour and texture of the this cake, it’s definitely a recipe I’ll make again. Have you ever read Olive Magazine? Or made any recipes from it? Let me know in the comments! Thanks Camilla! It was a great way to use up coconut. This looks lush Kat! The fact it tastes likes Bounty is win, win, win! It was so much like the middle of a Bounty, yum! This sounds fantastic! And a great way to use up those storecupboard ingredients. Thanks for linking to the No Waste Food Challenge! that looks lovely – isn't is satisfying to use up store cupboard ingredients. I quite often have a half tin of condensed milk as I use it in my no churn ice cream, so this is a perfect recipe. It really does feel good to use them up. Thanks for hosting!